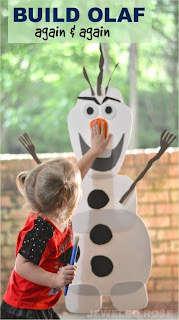 I can not tell you how much joy this simple craft has brought to my little Frozen movie fanatics. 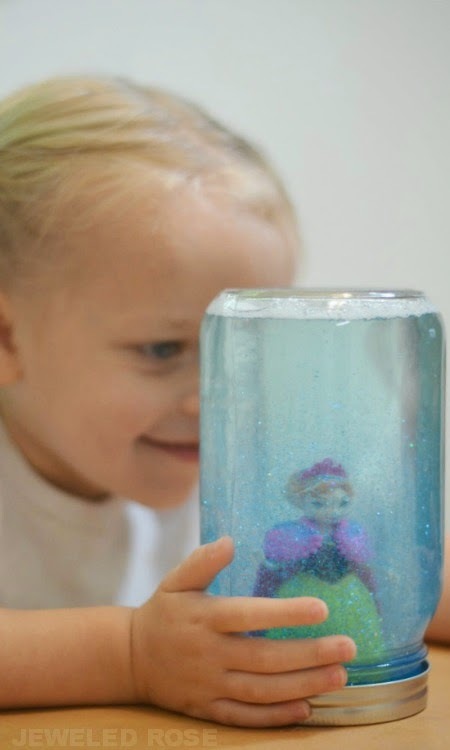 These work great as mind jars, calm down jars, and as snow globes.... and they only take minutes to put together! Mind jars are also commonly referred to as calm down jars or hush bottles. They are great for time out and for calming kids down when they are feeling frustrated or over emotional. 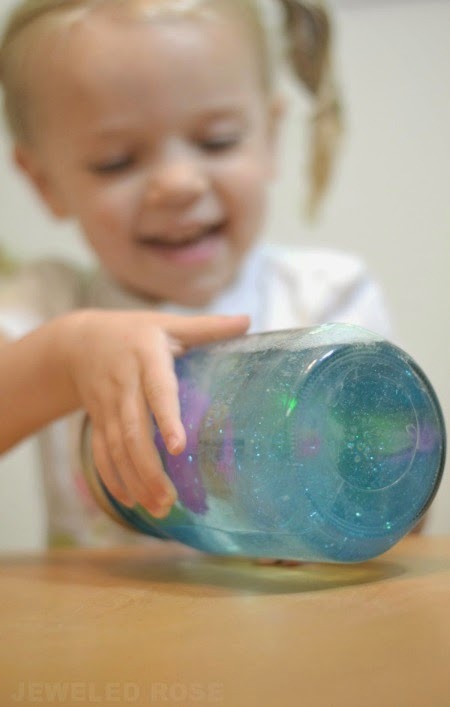 The idea is to shake the jar well, turn it over, and have kids watch all the glitter settle on the bottom. Once all the glitter settles (which takes about 2-3 minutes) kids can get up from time out. 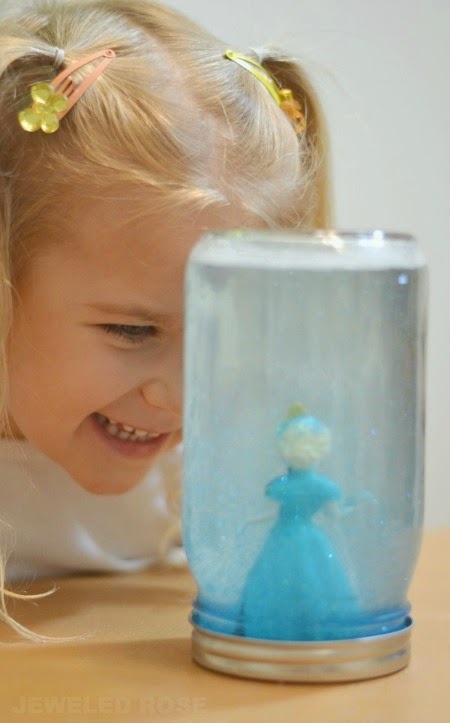 It is amazing how well these jars help to calm kids, and Rosie and Jewel just love their Frozen themed mind jars. 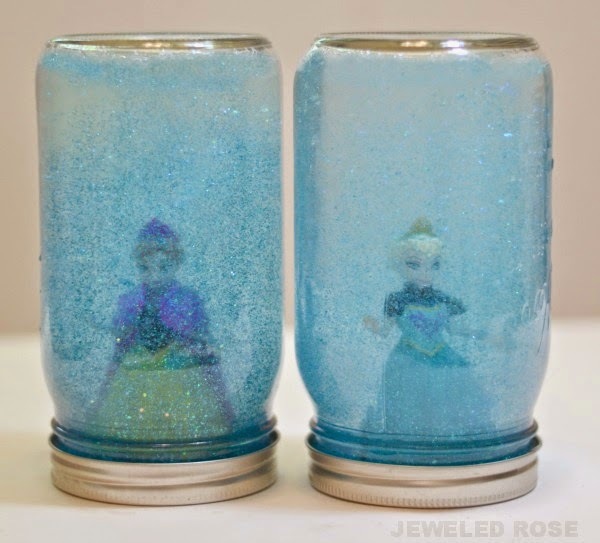 Note: If you don't have any Frozen figures you can still make this mind jar and watch the snowstorm settle. Since our lids came apart into two pieces we then had to glue the middle part of the lid to the rim of the lid using our glue gun. Easy peasy. While the lids are drying you can fill the jars almost to the top with very warm water and add the glitter glue. 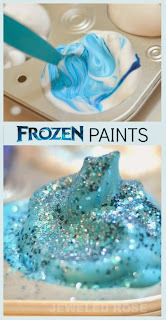 I used one full bottle of blue and white glitter glue for each jar. 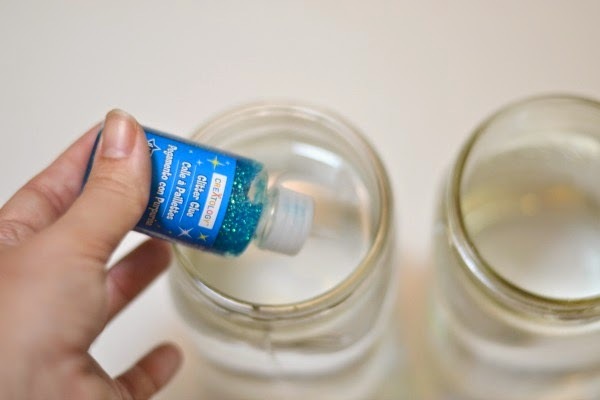 You can use more or less depending on how sparkly and full of glitter you want the jars to be. 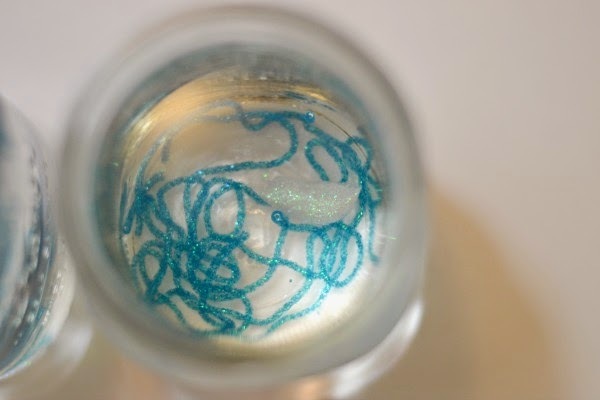 Once the glitter is added place the lids tightly on the jars and shake them up really, really well. Rosie and Jewel love shaking the jars to "make it snow"
The only downfall to these jars is that Rosie and Jewel might look a little to forward to time out and calm down time now lol. It is amazing how well these jars work though. By the time the glitter is settled at the bottom their attitudes and moods are adjusted and they walk away from time out happy and smiling; gotta love that! 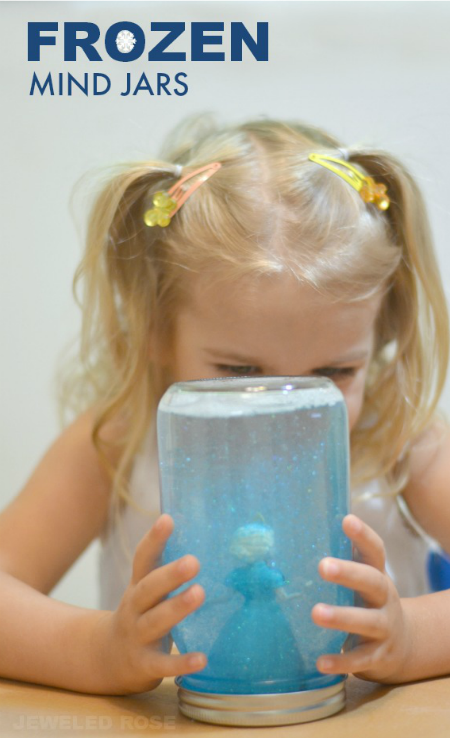 A Few Tips: Whenever your children tire of their mind jars you can easily disassemble them and remove the glue. As long as you use hot glue it will easily wash and peel off of the Frozen figurine. You may also need to play with the water level a bit. Once mine were assembled the jars weren't quite as full as I wanted so I added a touch more water. You can get an Elsa figurine here and an Anna figurine here. Both figures can be purchased together online here or here. You can also get the complete Frozen figure set online here and here. You can get six packs of Mason Jars at Walmart for very inexpensive or online here. 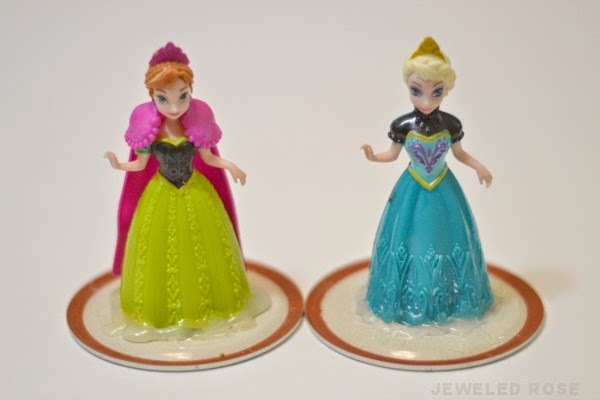 Note- I have also seen Frozen figures at Toys R Us, though I am sure that will vary by location. 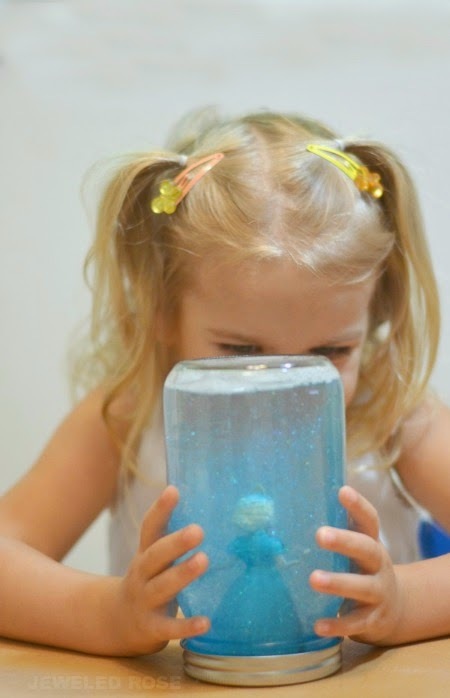 Visit our Frozen Activities collection to see all the Frozen fun we have had.